Improving your credit score is among the most valuable investments you can make in your financial career. Your credit score is going to determine whether you are eligible for a student loan, auto loan, and mortgage or business loan. Your credit score is also an important factor when you apply for insurance, rent, or even choose to buy a cell phone. You can see the utility of having a good credit score almost everywhere. However, to improve your credit, you will have to take certain measures that are explained below. Because every lender associates the risk of lending a loan with a credit score, it is imperative for you to keep an eye on it. Credit reports are generated separately for each individual and they are used as a common way to measure risk. There are three major credit bureaus that maintain 3 separate reports for your credit score. It is quite possible that your credit score from one bureau differs from another and there are some inaccuracies. Therefore, it is recommended that you check all of the credit reports at least once a year so that you can file for discrepancies, if there are any. You have a financial history and certain credit score assigned to your name. However, to improve upon that, you must establish a healthy and responsible financial track record. Whether you have paid off previous payments on time or maintained an old credit card account, everything will add up to improve your credit. Older credit card accounts are usually a good sign as they show financial discipline on your behalf and, if you have made all payments in due time, your credit score will already be on the higher side. One way to keep a healthy credit score is keeping a stable and consistent track record without any anomalies. If you open or close multiple credit cards or other accounts at once, it may result in a hard inquiry on your credit report. This kind of behavior is not considered normal. The point is to not make impulsive financial decisions which can make it hard for you to improve your credit further. Paying off your bills in due time is a major contributor to a positive credit score. All sorts of utility bills, loan payments, and student loans make up the majority of your bills. Recent payments are weighed more on your credit score. Therefore, even if you have missed a payment in the past, you can override it by making all of your most recent payments on time. Never miss a complete payment because it can stay on your credit report for 7 years. Even if you have a small amount at hand, make sure you pay something. To improve your credit and prevent missing payments, enroll yourself in an automatic payment plan with your service provider. There are also certain incentives for students to enroll in auto payments as they are charged a lesser interest rate on the balance. Justifiably, this isn’t always possible. However, if you have the option and ability to retain a certain job, it is a wise choice in case you are seeking good credit. Lenders like to see consistency in employment as steady income means that you have a greater chance in succeeding with a payment. Retaining the same employer for 5 or more years will significantly improve your chances with lenders. Of course, this doesn’t mean that, if you don’t like your current job, you should stay with it just to improve your credit. 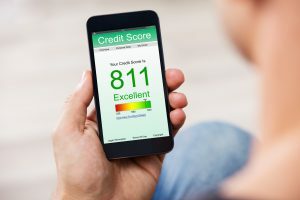 Although, it is important to remember that this does increase your credibility among lenders as well as show positively on your credit report. Similarly, frequent residential changes and having judgments filed against you in court would seriously harm your credit score and must be avoided at all costs. For businesses, maintaining comprehensive bookkeeping records, evidently, improves your credit score.